Miami, FL (April 2019) — Spring fever may be in the air, but it’s not too early to start planning for the cold winter days ahead. Star Clippers—the unique tall ship sailing experience—is offering 34 departures in the Caribbean from December 2019 through March 2020. 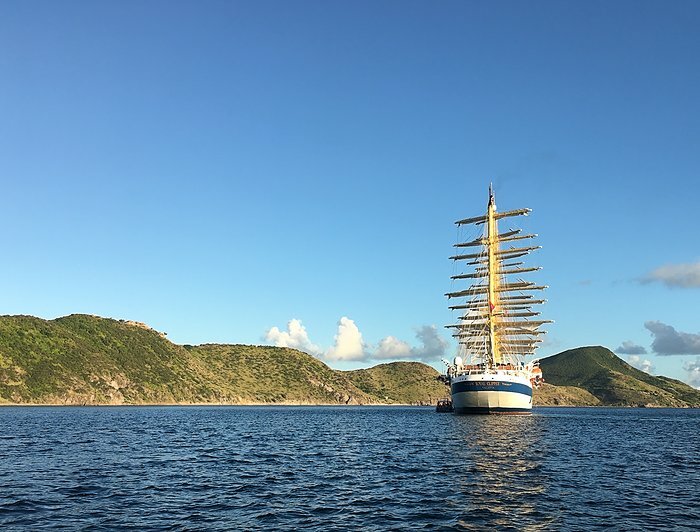 Two ships—Royal Clipper and Star Flyer—call on the favorite islands of St. Maarten, Barbados and Antigua as well as lesser-known gems such as Isles de Saintes, Nevis, Dominica and Anguilla. Travelers wishing to extend their Caribbean getaway before or after sailing can take advantage of a complimentary two-night hotel stay plus breakfast and transfers in either Barbados or St. Maarten on select 2019-2020 departures. Guests booking select seven-night Windward Island and Grenadine Island sailings, seven-night Antigua to Barbados, and the 16-night Barbados to Lisbon ocean crossing on board the Royal Clipperreceive two complimentary nights at the Accra Beach Hotel & Spa, a full service resort in Christchurch, Barbados. Guests who book select 14-night Panama and seven-night Treasure and Leeward Island itineraries will receive a two-night stay at the charming Holland House beach hotel in downtown Philipsburg, St. Maarten. Sailing rates start at $1,440 per person, based on double occupancy; the hotel package constitutes a $600 value. 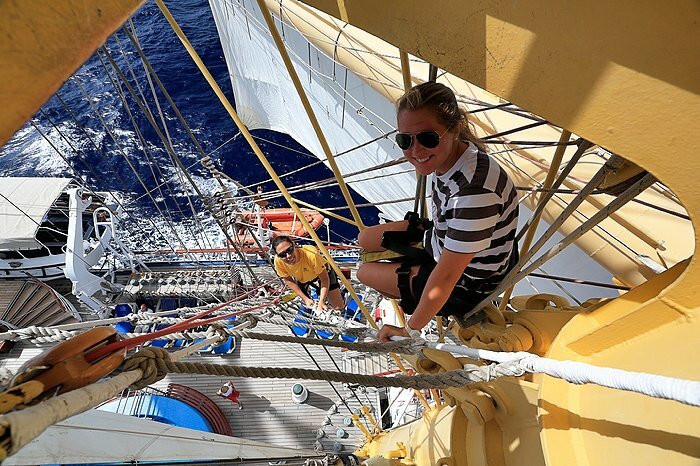 Visiting the Caribbean on board a clipper ship is a unique and unrivaled experience. These ships are true sailing vessels, using wind power whenever possible to navigate between islands. Gliding into port under full sail is a thrilling experience, and one that allows guests to imagine what it must have been like for the early explorers who arrived in this exotic region on very similar vessels (minus, of course, the onboard luxuries like a full-service spa and multiple swimming pools). And whilelarger cruise ships disembark their passengers into busy ports filled with aggressive tourist shops, Star Clippers ships cast anchor in remote harbors populated with local businesses and housing private yachts. Small tender boats take guests to and from shore—often to visit charming towns or off-the-beaten-path beaches where it’s not unusual to be one of only a handful of snorkelers or sunbathers. 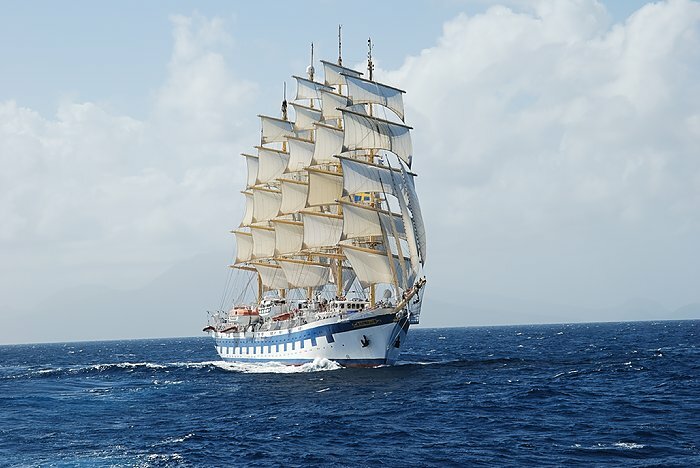 For more than 25 years, Star Clippers has been introducing travelers to the thrill of modern tall ship sailing to remote ports in the Caribbean, Mediterranean, Indonesia and Far East. The company operates three of the world’s largest and tallest sailing vessels: Star Clipper and Star Flyer are traditional clipper ships with modern amenities carrying 170 guests, while the 227-guest Royal Clipper holds the Guinness World Record for being the largest and only five-masted, full-rigged sailing ship in service today. All three ships have expansive teak decks, swimming pools, informal dining, convivial tropical bars on deck and piano lounges. The brand’s newest vessel, Flying Clipper, will debut in late 2018. For more information or to make a booking, contact your travel agent, or call 800-442-0551 or visit www.starclippers.com.